This is my last post for 2011, I first want to thank you for following me this year. I truly appreciate the time you take to read and comment my posts! Hope for you the best for 2012! So back to the topic of this post. Tony Moly is a Korean brand of skincare products, although they have some makeup products too their focus is mostly skincare. Most of their products have very cute packaging and it is all made from natural ingredients. This super cute "coffee cup" it's actually a facial scrub! It promises to remove the dead skin cells, providing moisture and nutrients. It is suitable to dull complexions and dehydrated skin. The top of the product looks like a coffee cup with a spoon which is actually a spatula. The cup unscrews from the bottom to reveal the bottom where the scrub is. The scrub is not a liquid, nor a gel, nor some sort of pasty consistency, it is actually solid, and once it touches your skin, the warmth of your skin melts the product. As you can see it is very brown, but once you start massaging the product onto your skin it will become clear, and that's when it you are suppose to wash it off. What I have noticed is that Asian skincare is more gentle on the skin, and this scrub is no exception, it has the tiniest beats ever, you can barely feel them, so it is so gentle that you can even use it everyday. Complementing the coffee cup container the products smells like... yes you guessed it, coffee. As for my final verdict I would not repurchase this product. mostly due because it is too gentle on my skin, and honestly I cannot tell the difference when I use this product. First I want to wish you a merry Christmas! So today I'm going to review the MAC Dazzlephere #4. I received this as a birthday gift from my boss. This set is part of their of their holiday collection, and comes with 2 dazzleglasses and 2 cremesheens. Like Venus and Rags to Riches being the dazzleglases, and Fashion Schoop and Petite Indulgange are the cremesheens. As you can see from the swatches they are sheer, but I like sheer glosses. I especially like the cremesheens a lot, I do like the way the dazzleglases look, but after they wear off the glitter translates everywhere into your face and it's a little bit annoying. But I do like this set especially to try new shades of glosses! At first I thought that the cremesheens looked very similar to Pink Pop and Peach Petal from Revlon. As you can see that Fashion Schoop and Peach Petal are not really dupes. I think Petite Indulgence and Pink Pop are very similar. Overall I'm really enjoying this set, I have been using it alot since the colors are great for everyday. This outfit was from Sunday, I went out for dinner with my parents. Anyways here is my outfit looked like. My favorite part of the outfit is actually the boots! I know many people don't like the look of them, but I love them, they are my favorite pair of shoes, but I don't wear them that often because I have yet to fully break the leather. If you are wondering I never secure my shoelaces when I wear this boots. Today I'm going to review all of the lip balms from EOS that I've tried. When these came out last year they received a lot of hype, mostly due for the unique share shape. EOS stands for Evolution of Smooth. The lipbalms are 95% organic and 100% natural. They are gluten, paraben, and petrolatum free. They contain shea butter and vitamin E which help provide moisture. 1- Lip Balm Smooth Stick in Vanilla Bean This was the very first one I tried, and it is my favorite. It smells like MAC lip products. They have a small line of tube lip balms and this one is the only one I've tried from this line. The formula of these is very different from the sphere ones, these are more glossy and glide on smoothly. 2- Honeysuckle Honeydew This was the first from the spheres I tried. Honestly it is really bad, it's too waxy, I had a hard time applying it to my lips, I had to put quite a bit of pressure to really get the product on my lips. Once the lip balm gets to the "flat" stage is just so awkward to keep using it because you end up putting product outside of your lips. I can't recall the scent of these one. One thing I do remember is that it makes your lips so pale! 3- Summer Fruit Things started to get better with this one. The scent is very tropical, think mango, pineapple mixed together. It so much better that Honeysuckle Honeydew, this doesn't make my lips look pale, but it is still waxy. 3- Lemon Drop spf 15 This is the only one in the line that has SPF, the protection very low, but it is better than nothing. The scent is straight up lemon, which is nice, but my problem with this one is the taste, it I don't even know where to begin to describe it. Probably like bad morning breath. It's really horrible, and it's a shame because it is the glossiest out of all the spheres. 4- Strawberry Sorbet (pink) and Passion fruit (lavender) I got this one in a set. The box said it was limited edition, but apparently strawberry sorbet is now part of the permanent line. When I first saw it I was like "yes finally a pink one!" since it is no mystery that I like pink. Both are one of the most moisturizing ones, they are also not very waxy unlike their other lip balms in the line. These two would be the only ones in the "sphere" line that I would purchase again. 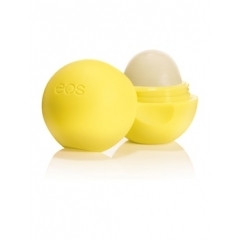 Indeed they are cute, and I find the sphere shape practical because they are easy to find when you throw them in your purse, but in my opinion they are not the best lip balms and they are not super moisturizing. Today I'm going to review this lipgloss I recently bought from Sephora. It's the "A perfect Kiss Lip Gloss" from Charlotte Ronson. This collection it is only sold at Sephora, the gloss retails for $14 USD. The color I have is called "Tessa" I would describe it as a blue pink with golden shimmer. The tube is very cute a heart shaped, which is very original and cute, considering all tubes are just circular. I always find myself attracted to this kind of pink glosses. When I first saw it I tough that it was the same as the Revlon super lustrous Lipgloss in Pink pop. Which in the tube they look the same. But once swatched it is a completely different story. On the left it is Tessa, and on the right it's Pink Pop. As you can see, Pink Pop is very pigmented and opaque. While Tessa it is sheer. At first sight it looks like you are getting a lot of product, but you are getting half of a MAC lipglass. 2.8 gr. So it is more on the expensive side. But regarless of that I like this gloss, it is non sticky and has a slight citrus scent. Best of all is very shiny, and very natural looking. So yes, I would recommend this product. So I really don't have much to share with you. Currently I'm studying for my finals which are next week and then... i'll be school free for an entire month! I wanted to tell you guys that I chopped off my long locks. I had been contemplating that for a while to tell you the truth. As you can see from this screenshot (it's from a video that was not uploaded to my YT) my hair was very long. 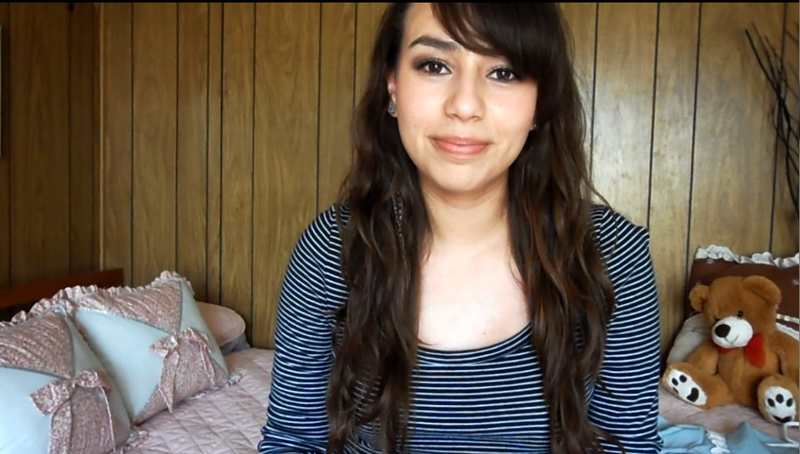 This video is from August, and I hadn't done anything to my hair since May. So my hair had reached my waist. Part of my decision came that I was tired of having to do all sort of things to keep it healthy. Things like buying expensive shampoo, deep conditioners, oil treatments, deep conditioners, taking vitamins, being careful with detangle it and well you name it. Long hair need a lot of work and dedication if you want it to look good. Otherwise it just looks dreadful. Which was my case. I decided to switch shampoos, and started using one by fructis... (bad decision), stopped oiling my hair, and stopped taking vitamins, and well the result... dry hair, not a healthy look. So the decision was quite hard because I had been growing out my hair for about 2 or 3 years. But cutting it was the only remedy for getting rid of the dry split ends. This is what my hair looks like now. This was right after I had it cut, my bangs look a little weir because it was all windy, and the lady straightened it for me. But I asked for something similar to Zooey Deschanel's in this picture, and because I have naturally wavy hair, my hair looks somewhat close to hers. My cut is very simple it's all one length with thick long bangs. In comparison with Zooey's which has some layers. I'm kind of sad that it's gone, but hair grows and I will do my best to keep it healthy! PS I'm actually embarrased that I'm writing an entry about my hair... yikes! 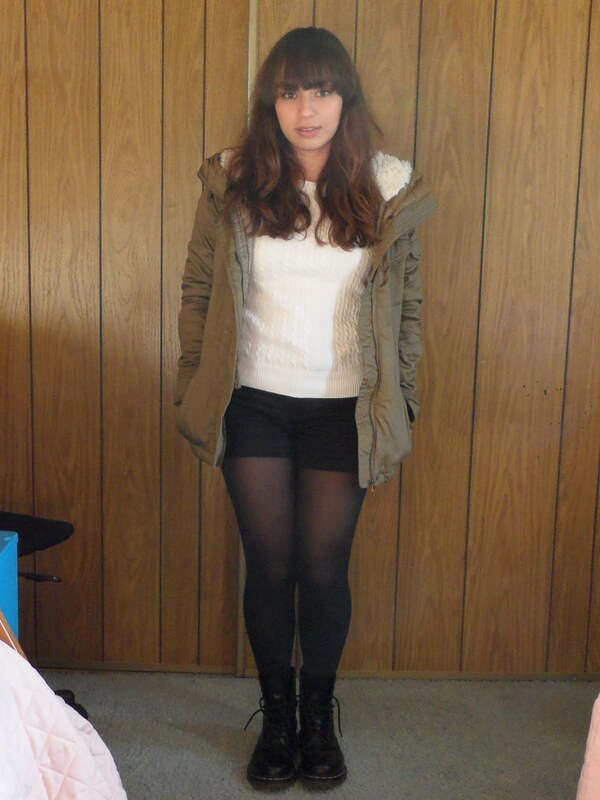 So this outfit is not form today, but from the last week of November. I wore this to school hence it is very simple, and nothing special. What surprises me is the fact that it was November and I was just fine wearing a cardigan. It hadn't been cold in California until this weekend. So here it is. The shoes are from Aerosoles, the belt is from Target, the Cardigan I got it at Goodwill, but it is from Old Navy, the shirt is from Asos, and the jeans are from Levi's. My makeup was very simple too, just BB cream, chapstick, eyeliner and mascara, and little bit of blush. I honestly don't like to wear a full face of makeup when I go to school, it's a bit unnecessary.